Mix well with flour, salt and oil in a bowl with the help of fingers. Keep in mind that the oil should be well mixed in the mixture. By doing this, your samosa will become crisp. Now add cumin seeds and light water to the mixture and prepare thick dough of the mixture. After making the dough, wrap it in some damp cloth and keep it aside for 30 minutes. Until then we can make spices. Boil the potatoes in a pressure cooker, after boiling the potatoes, remove its peel and cut it into pieces and treat it well. Now chop onion, ginger and green chilies well. Now heat the oil in the kadhai, after it becomes hot, add cumin seeds, then the onion, ginger, green chilies and light soak until the color of the onion becomes light brown. Now add Coriander Powder, Turmeric Powder, Chilli Powder, Cumin Powder, and Salt. Mix the mixture thoroughly and cook for 2-3 minutes. Add potatoes, coriander leaves and mix well. And stop the heat of the gas. pour some dried lime juice to taste in it. Now your potato masala is ready. The first thing you made was that the flour of the dough was made, now make small balls of it, according to the big samosa you want, You can do more. Now take a ball of flour and take it with a small shot and take it with a roll of bread. And cut off with the help of a knife. Now he will look in half the shape after adding two parts on which there is a direct part, add light water to each other and add two pieces together. You can easily add it with the help of your fingers. You have to fold the samosa-like an ice cream angle. You can easily make corners with the help of flour made of flour. Now add potato masala to the angle created. Do not waste too many spices, as much as your viewpoint is the masala. Now you can cover an angle from the upper part. For this, you will need to put light water on the dough. After folding the upper part, your samosa triangle will appear in shape. After closing samosas from all sides, you can also give it excellent way. You can also change its size with the help of the spoon. This samosa will make you feel like a triangle angle. Now repeat the above method with the remaining flour again. 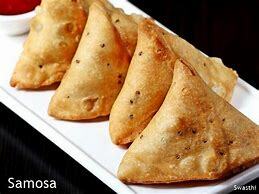 After making the flour triangle samosas, keep all the samosas apart, now Samosas have a delay in frying. Now heat the oil in the frying pan for frying. To see whether the oil is hot or not, add a little bit of dough into the oil, if the piece of flour starts coming up in the oil, then the oil has been heated. Having hot oil for frying samosa is essential. Liked the remaining Samosas similarly. Now as you eat in Samosas hotels, you can eat samosas as well as sitting at home. Serve warmly with green chutney or tomato ketchup after frying. The dough can be purchased in the shop or you may make it yourself at home. If it becomes too long or thin for you to work with you can cut it into 2 or 3 pieces. After you’ve made a fundamental dough, the action of filling them can be a family undertaking. Producing your own sambusa dough is no light job but there are instances once you just need to make it yourself. If you want, you may also alter and customize the filling. The ideal filling has an ideal balance of flavor and texture. Punjabi Samosa can be readily made at home, you merely must make the appropriate mixture of boiled potatoes and green peas. You are able to add an excess samosa to the plate if you prefer. Nowadays you have samosas ready for a fast dinner! Our Chinese Samosa is prepared to plate. Frozen samosas are becoming more and more available from grocery shops in Canada, the USA, and the uk. Your homemade vegetarian samosa is prepared to be served. The foods of unique states are extremely distinct no 2 states make a curry in the exact way. It plays a major role in Indian culture. 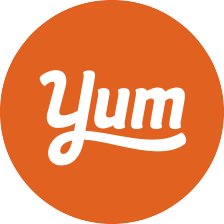 Folks may enjoy a number of the very best Indian food in central London where a range of restaurants have sprung up.